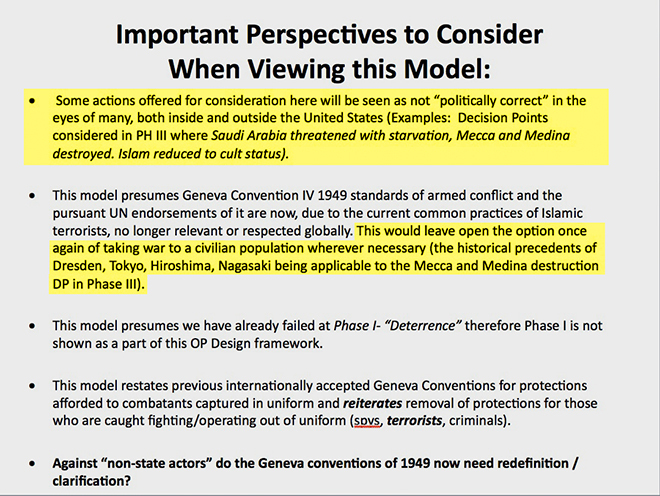 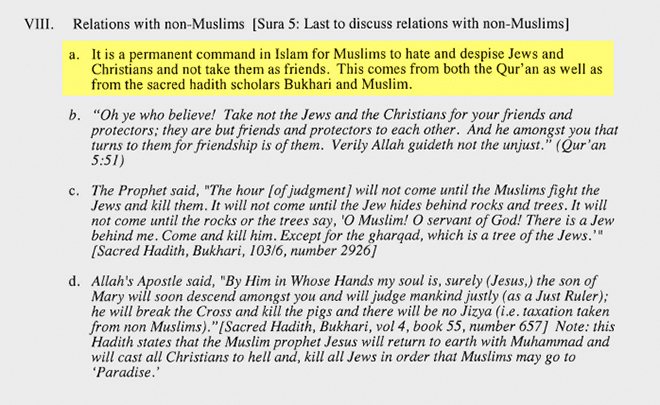 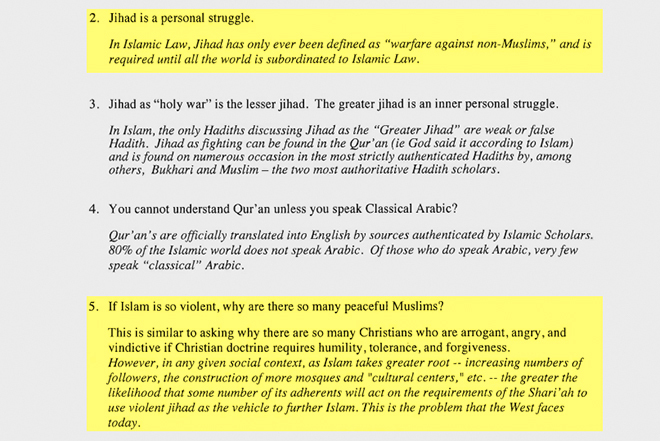 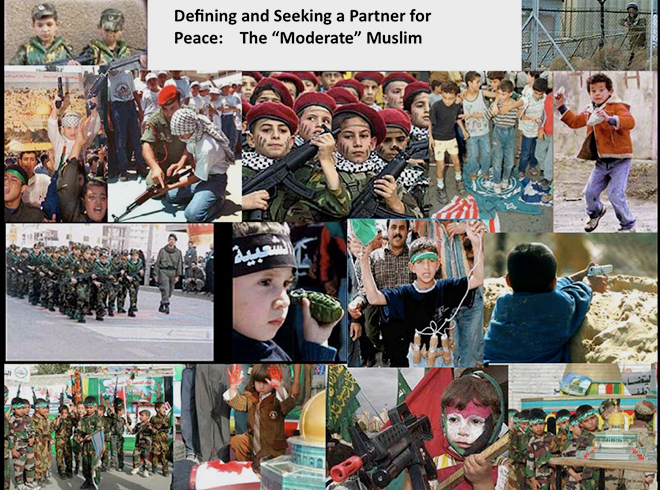 A second slide from Lt. Col. Dooley's presentation (.pdf) mocks the idea of moderate Muslims. 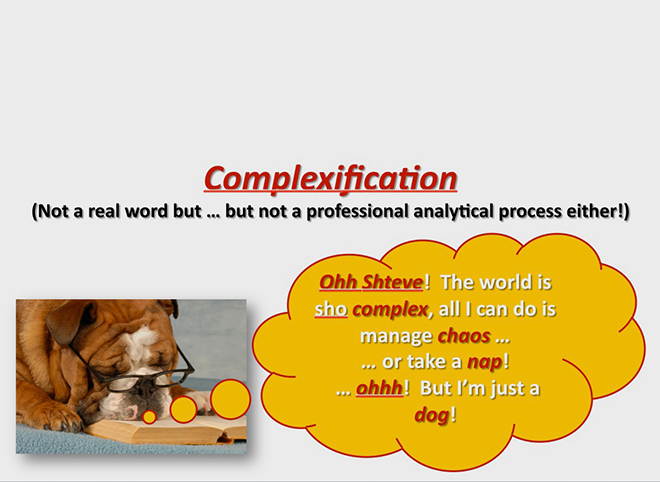 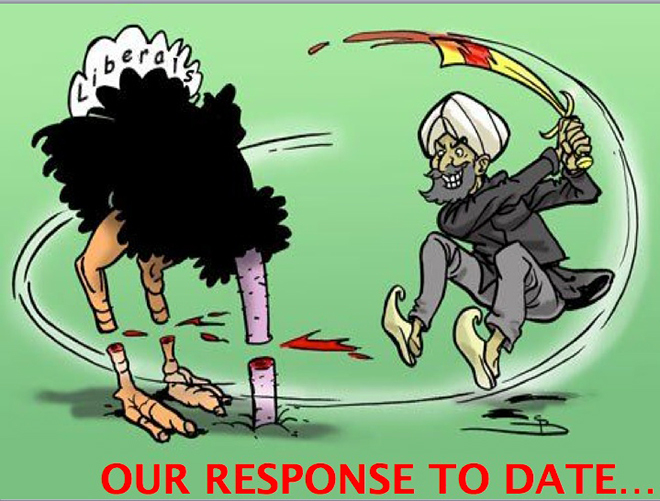 A cartoon included in Shireen Burki's Joint Staff Forces College presentation on "Jihad: Defined and Operationalized" (.pdf) contains a number of ugly stereotypes. 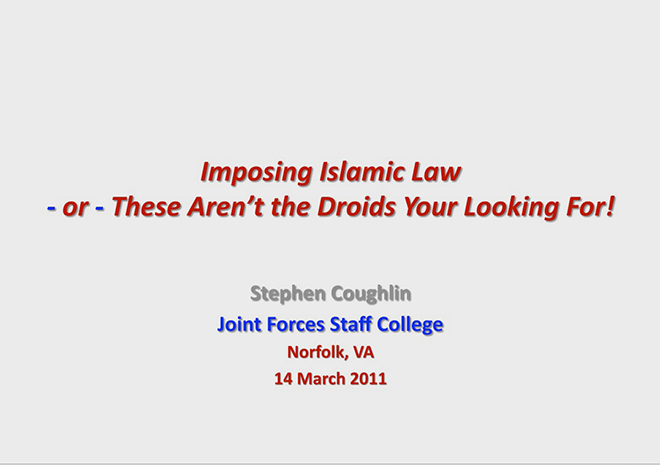 Stephen Coughlin's presentation to the Joint Staff Forces College on "Imposing Islamic Law" (.pdf) began with a nod to Star Wars. 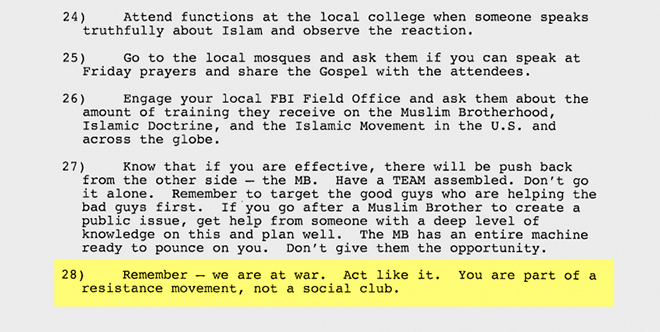 A later slide from Coughlin's presentation (.pdf) made fun of people who didn't see Islam in the same way he did.